Retro Hipster 1900 Fashion Man In Suit With Black Hair And Beard... Stock Photo, Picture And Royalty Free Image. Image 25226866. 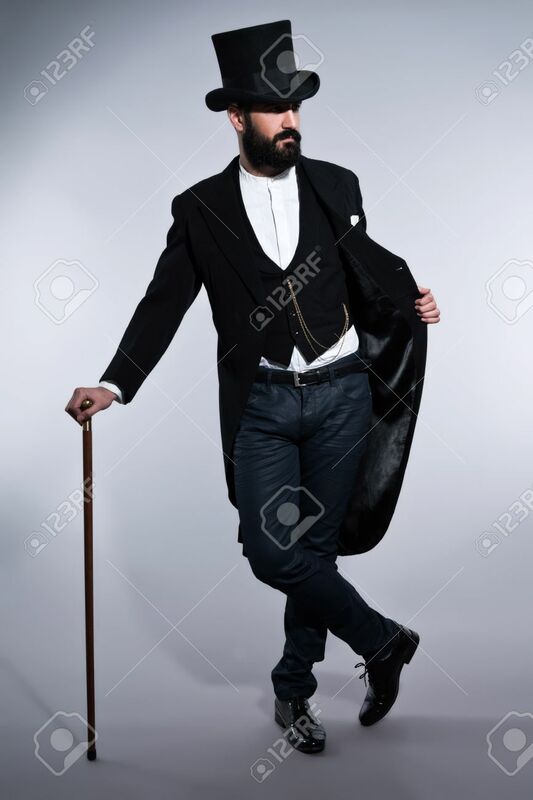 Stock Photo - Retro hipster 1900 fashion man in suit with black hair and beard. Wearing black hat. Standing with cane. Studio shot against grey. Retro hipster 1900 fashion man in suit with black hair and beard. Wearing black hat. Standing with cane. Studio shot against grey.